Windows On Software Raid0 ? Discussion in 'Storage Devices' started by Yoan, Mar 6, 2016. Hey guys , I need some help (or interpretation ) about RAID0. 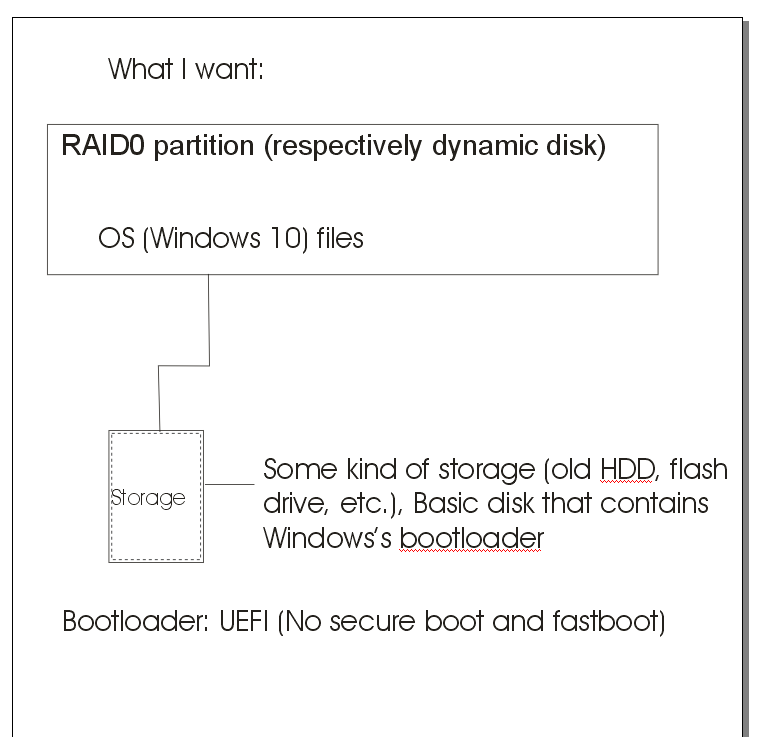 First, can I somehow move my whole Windows OS files to a RAID0- partition while the bootloader is on Basic disk and its configured to load files from the dynamic disk ? I'm asking because I made RAID0 from 3 HDDs and the performance is batter than my system drive. Is it possible ? For those who didn't understood, here is a scheme: http://i.imgur.com/0yUegxc.png Thanks !